Inline spinners are one of the best choices for trout when they are in some of their most finicky stages. While an inline spinner will get bit year round, you can count on them most in early spring or late fall, when only the most realistic flies seem to produce. Almost all species of trout fall victim to a spinner, and you can even use them to go after steelhead! They’re one of the most versatile, simple baits to use for trout fishing, but here are a few of the best rules of practice to maximize your catches! The added weight on these comes from the blade attached to the body. These blades, in addition to beefing up the lure, produce tons of action, and leads to tons of bites. Especially in current or on the fall, these blades flail, pump, chug, and wiggle all around the water. Much like the smaller baitfish a trout will be chasing, this will give off an erratic, fleeing action. Tie an inline spinner directly to 6 lb test line, so you can still cast it with a bit more ferocity. Cast and retrieve works great in lakes or rivers, as long as you give the bait a chance to get down deep and pass as many possible targets as possible. Keep in mind you want the blade to flail and trout are very fast, so you can burn a spinner back as quickly as possible in any body of water. If you are fishing this bait in a river, cast upstream and let it float back with the current. 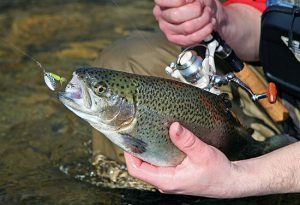 The natural current will give you enough action and you can just sit back, relax, and get ready to reel in a trout. If hanging up is a concern or you know the fish are stacked up at a certain depth, you can even add a bobber to present the spinner at an exact depth. Look for a dark colored (dark blue, red, black) spinner to perform best in low light conditions, and bright spinners (gold is my favorite) to perform in bright light or clear water. Sizes vary, but typically the bigger the bait the bigger the fish with a bait like this. 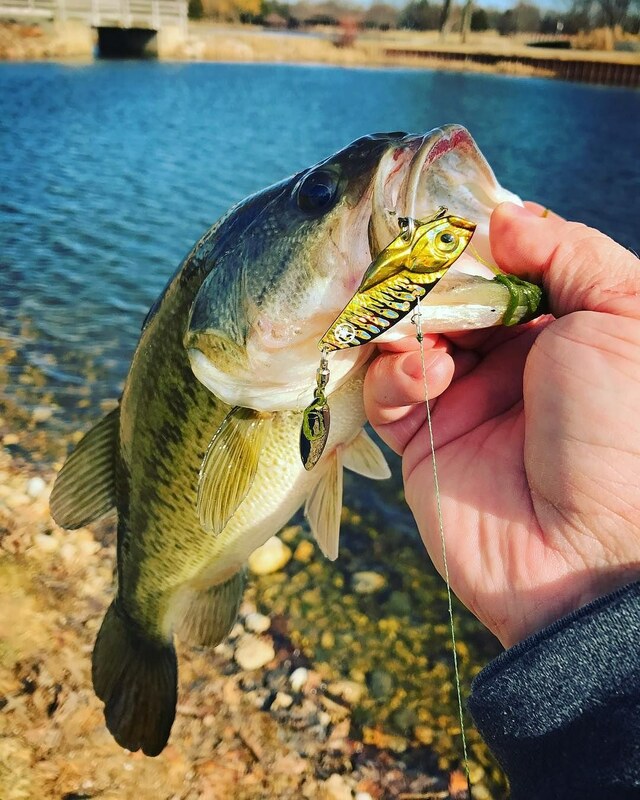 So, downsize for stocker bites and go big if you’re chasing a personal best!